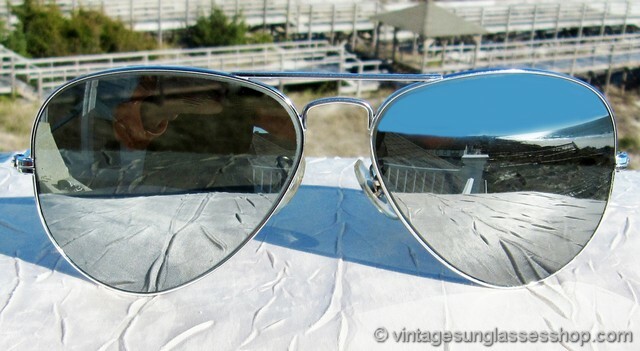 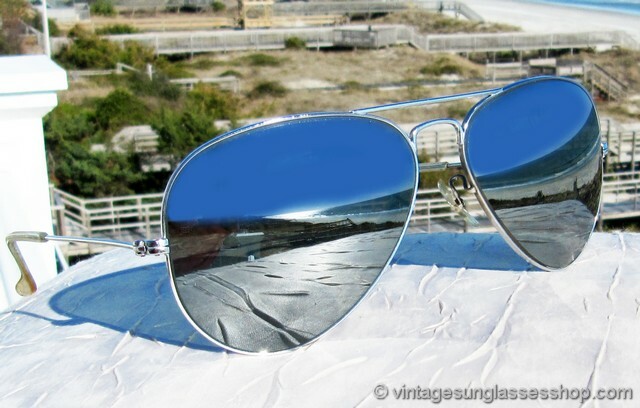 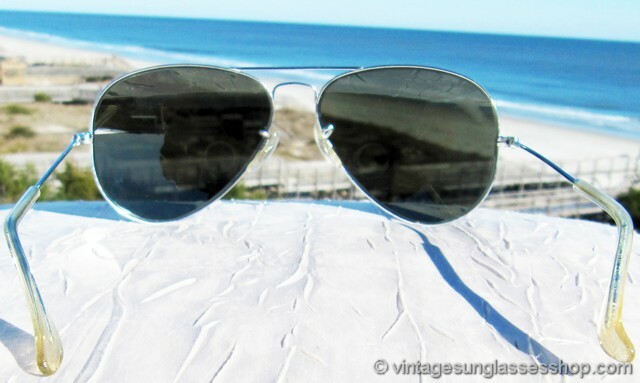 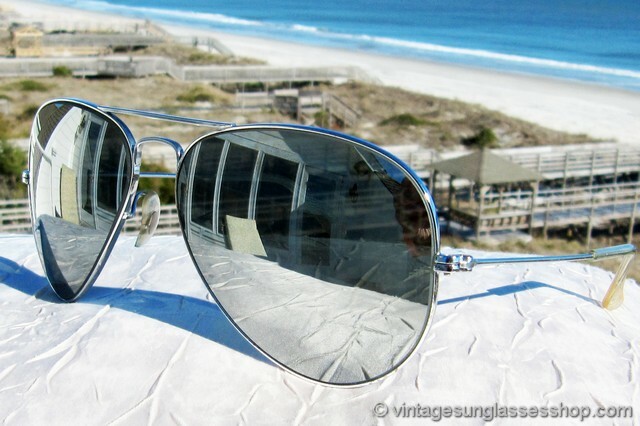 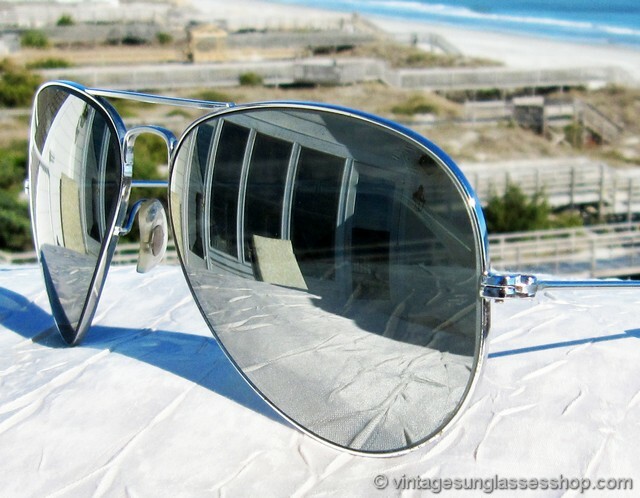 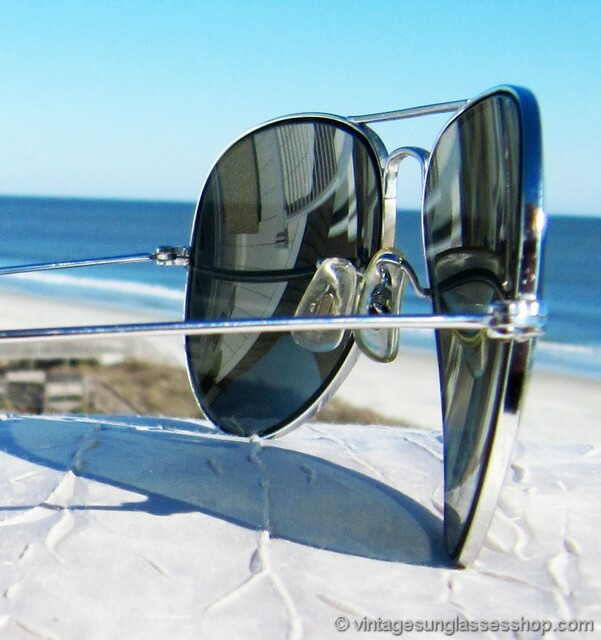 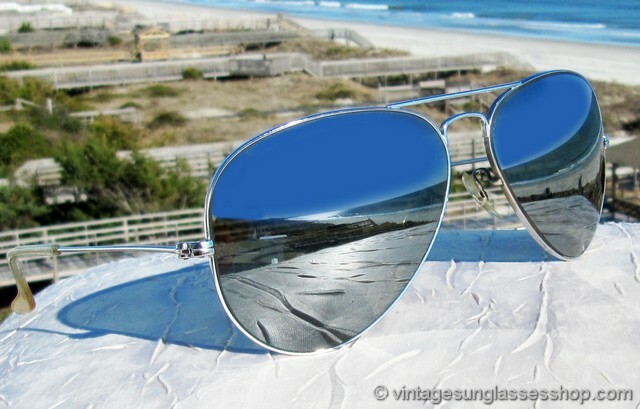 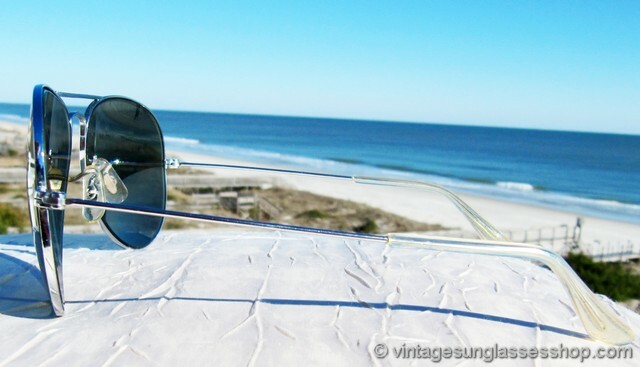 Vintage Ray-Ban 58mm aviator sunglasses feature the hard to find silver plated variation of the iconic Ray-Ban 58mm gold plated aviator, but the real stars of the show are the highly reflective Bausch & Lomb G-31 mirrored lenses. 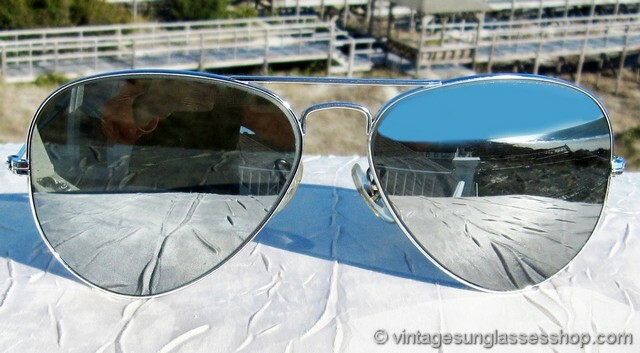 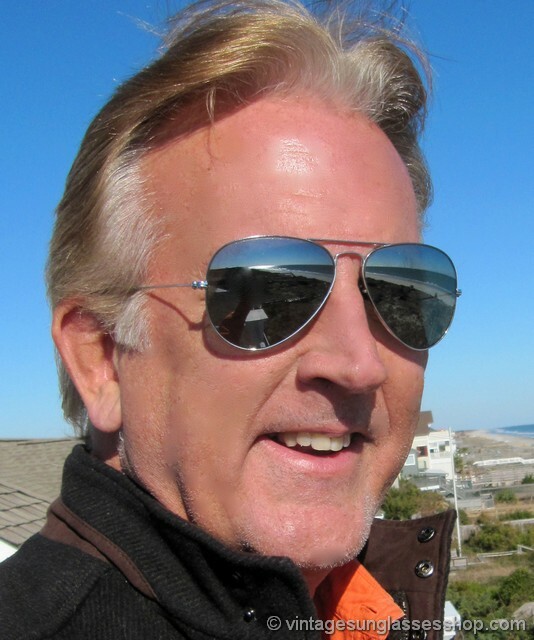 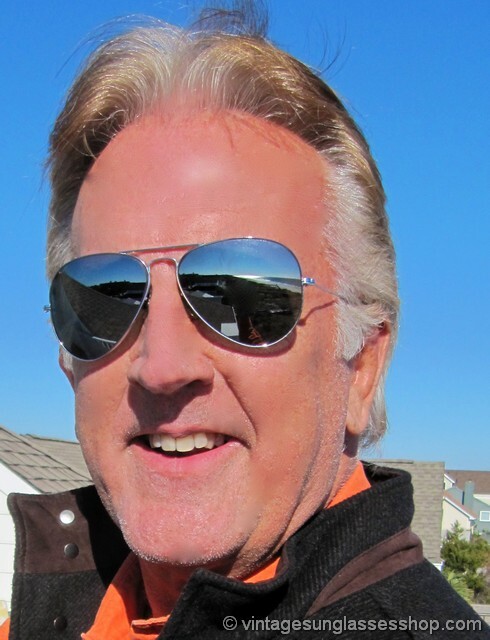 The silver flash mirror coating on the exterior of these rare B&L mineral glass lenses looks fantastic with the silver plated frame, a frame and lens combination that's x50 harder to find than the analogous gold plated 58mm mirrored aviator. 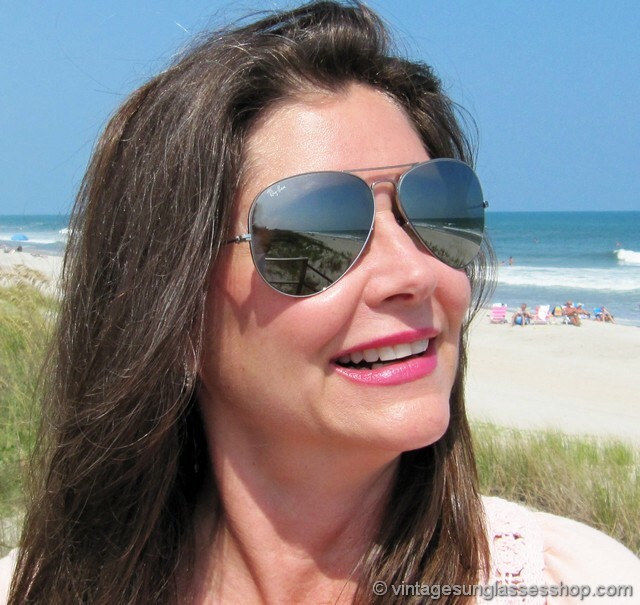 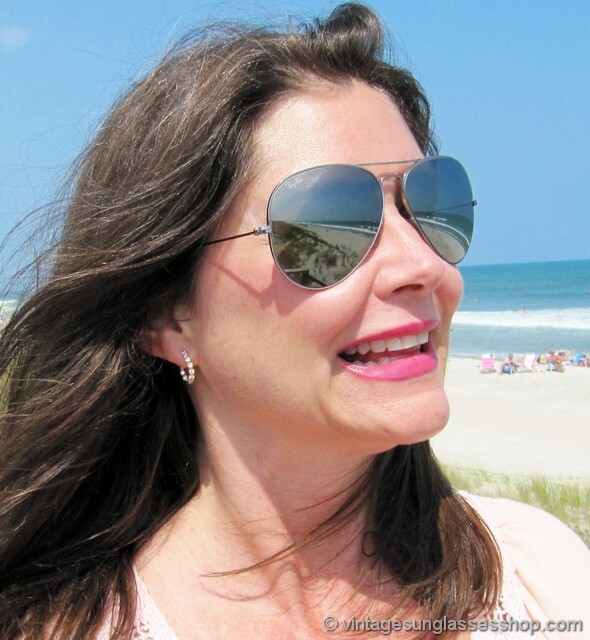 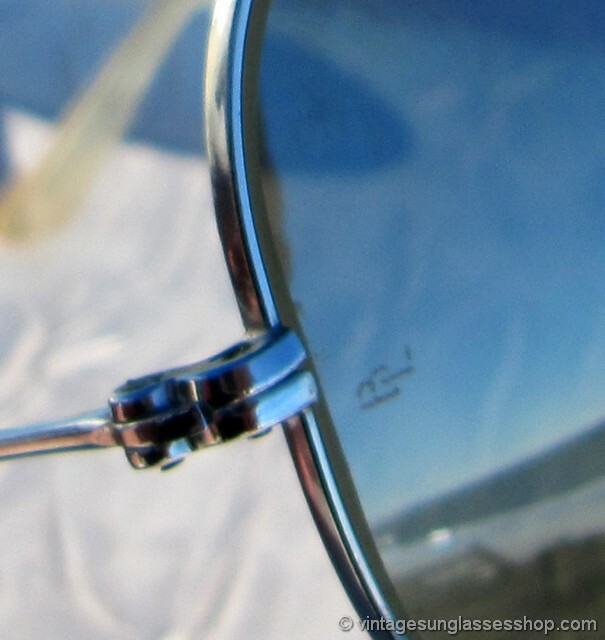 The unisex B&L Ray-Ban 58mm aviator frame measures approximately 5.375" temple to temple, and the G-31 mirrored lenses measure approximately 2.375" x 2.0" at the widest points with both lenses laser etched BL near the hinges. 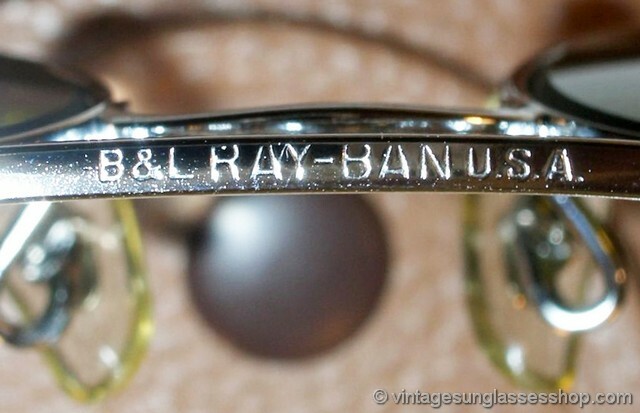 The top of the nose bridge is impressed B&L Ray-Ban USA while the bottom of the bridge is impressed B&L 58  14 USA, part of a great collection of vintage Ray-Bans in Austin, Texas.